You can choose your dollar amount you want to give. The recipient can use on any items in the store including lunch, produce and gift items. 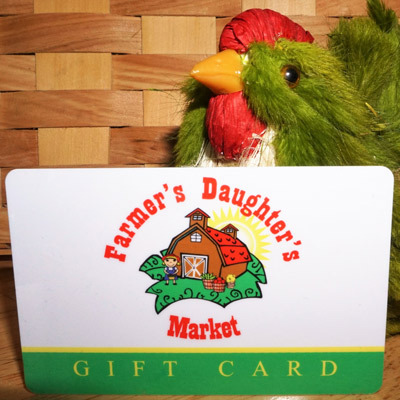 Everyone is happy to get a Farmer’s Daughter’s Market gift card.